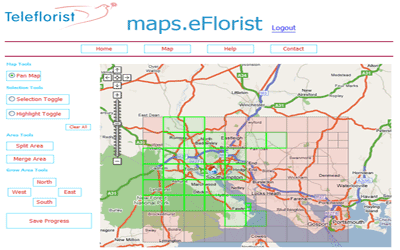 Many geographical business decisions are based on multiple factors. For example, the optimum location for a new site may depend on the density of customers of the correct demographic, distance from competitors and the current land use. 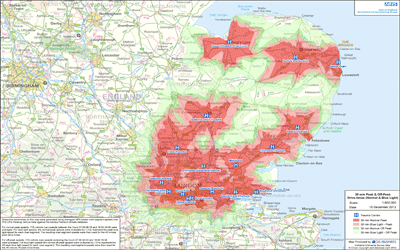 One of the key benefits of GIS is their ability to integrate, analyse and overlay different spatial datasets to facilitate informed multi-criteria decision-making. 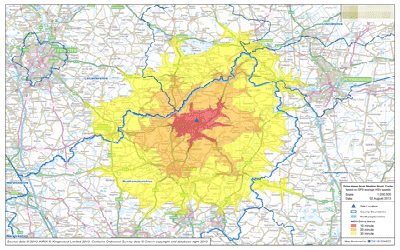 GIS4BUSINESS can apply multi-criteria evaluation techniques within GIS to combine layers representing various factors that must be considered, applying optional weightings to each factor and producing a set of potential alternatives that can be ranked according to their suitability. 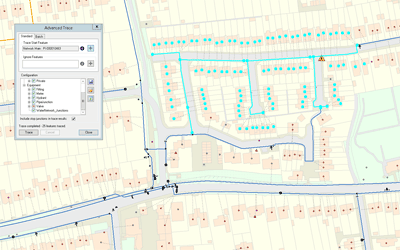 GIS-based multi-critieria evaluation techniques can be used in site selection, planning, emergency response or to analyse geographic risks, such as property flooding and subsidence, or the risk of asset failure due to age, ground conditions and traffic loading. 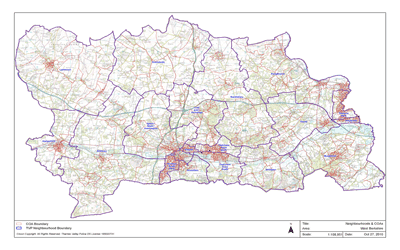 GIS4BUSINESS assisted an environment and transport consultancy with several site selection projects for local authority customers, undertaking GIS-based drive-time and service area analysis to find optimal locations for refuse sites.